The time window to retaliate against the Pakistani castration and beheading of three Indian soldiers earlier this year or killing of five brave soldiers in Poonch this week does not elapse if a month or year has passed. In fact, the time, place, and method of retaliation are a matter of the victim’s own choosing. Thus, retaliation could take place a year or two years from now: there are no statutes of limitations on this type of situation, and there is no absolute moral constraint from exercising retaliation; and there is no written international law on this matter. Stupid Indian politicians fall for this diplomacy hook, line, and sinker, while Pakistani diplomacy returns chuckling that it made a fool of stupid Indians once again. It is unfortunate that since the beheading incident, the Indian prime minister met with his Pakistani counterpart, hailing from the same district of Jhelum. The Pakistani PM paid a pilgrimage to the sacred tomb of Moinuddin Chisti in Ajmer, and further met with India’s foreign minister. These incidents served to diffuse the situation, and both Islamabad and New Delhi agreed to brush the incident under the carpet with the aim of forgetting it altogether. 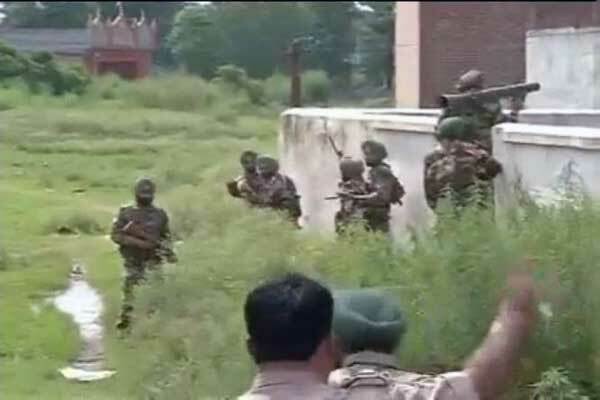 Yet again the Pakistani terrorists struck at dawn on July, 27 this time in Gurdaspur. They were eliminated in a twelve hours long gunfight which left eight persons dead including a Superintendent of Police and four brave policemen of the Punjab Police. 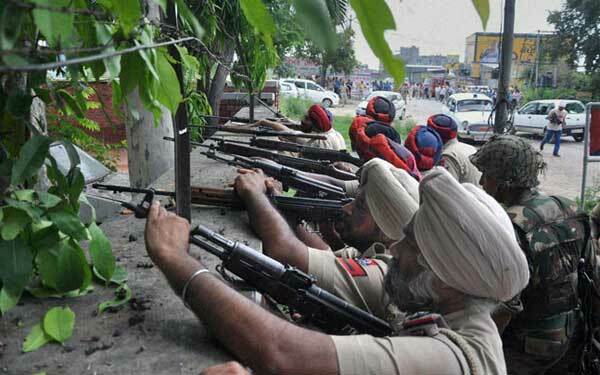 It was an audacious attack on the Police Station at Dinanagar, this was the first of it kinds spilling over in to Punjab. The modus operandi was however similar to the previous such attacks. Like the ones witnessed in the Jammu belt stretching from Kathua to Akhnoor in the troubled state of Jammu and Kashmir. The nexus between the ISI and the active drug cartel in Punjab also appears to be a new channel facilitating the transport of terror. 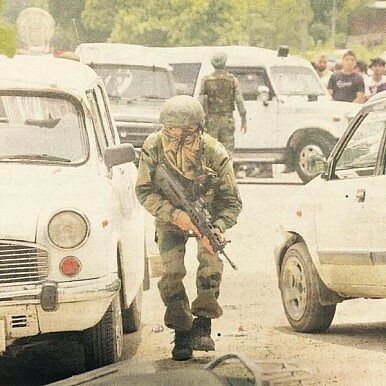 Just before dawn on Monday, a group of four infiltrators hijacked a white Maruti car, firing at people at the bus stand and a road side eatery before storming a police station. The pattern leaves us in no doubt that these terrorists were from the Lashkar-e-Toiba (LeT). As if the lies of a purported army coup by a journalist in 2013 were not enough, not prosecuting him had the obvious fallout for inviting more such acts. So, now we have a former IB officer, President of a so called ‘Patriots Forum’, advising the government to strategize and put in place anti-coup measures because of the peaceful veteran protests at Jantar Mantar, even going to the extent of suggesting that Indian Armed Forces could surrender like the Pakistani army in East Pakistan during 1971 and Japanese army in WW II. Obviously such ill considered statements by self-appointed strategist are deliberate, with a malicious motive and could be on behest of his handlers. 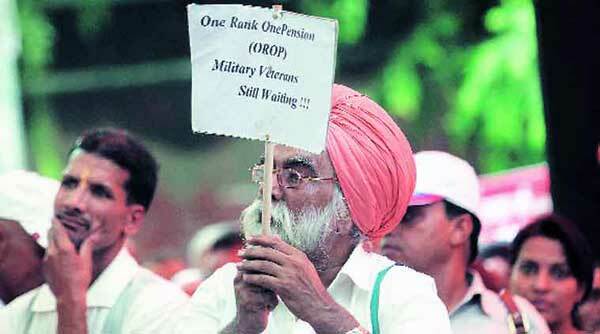 With reference to the veteran protests against the delay in implementation of OROP, an organization, called ‘Patriots Forum,’ has been circulating on the web that the government should ‘keep close watch on those suspected to be fermenting the issue unnecessarily’. He goes on to say, “It seems things have reached a stage when it is going on its own motion. And so, the government will be well advised to strategize and prepare anti-coup measures though such things are unlikely in such big country as ours.” This coming from the President of the Patriots Front, a former IB officer raises a terrible stink. Wonder if he realizes that these peaceful protests are by veterans, not serving military. Besides, the issue of OROP was never raised by the armed forces with any pay commission – this being a strictly a demand of veterans. When asked about the most polluted cities worldwide, most people usually name larger Chinese cities as being the worst air quality culprits. However, according to research published by the World Economic Forum, Delhi is actually twice as polluted as Beijing. The level of PM 2.5 (micrograms per cubic meter) in Delhi is six times above the recommended World Health Organisation maximum. In fact, out of the world's 15 worst cities, ten are in India while a further three are in Pakistan. Despite the fact that air pollution has become a massive social and environmental issue in China, no Chinese cities are present in the World Economic Forum's list of the top-15 worst offenders. This chart shows PM 2.5 (micrograms per cubic meter) in the most polluted cities worldwide in 2014. The Indian investigation into the attack remains ongoing, but there are already signs that Pakistan-based militant groups, including Lashkar-e-Taiba or Jaish-e-Mohammad, could be involved. The explanation that this attack was a long-coming flare-up of Sikh militancy is unsupported by the preliminary evidence. According to Indian authorities, the attackers used “sophisticated” weapons to stage the attack, and were reportedly well-trained. There are growing fears, particularly in India, that China may soon launch an island reclamation project in the Indian Ocean. The fears stem from a constitutional amendment passed by the small archipelagic nation of Maldives last week, which for the first time allows foreign ownership of Maldives territory. Specifically, the constitutional amendment allows foreigners who invest over $1 billion to own land, provided that at least 70 percent of the land is reclaimed from the sea. Since July 2013, China has launched a massive reclamation project in the South China Sea that has created 2,000 acres of artificial landmass in five Spratly island outposts. Some 75 percent of this been dredged this year alone. Unnamed Indian officials have told local media outlets that they are “concerned” that China now plans to do the same in some of the Maldives’ 1,200 islands, which are located strategically in the Indian Ocean. The Taliban continues to press its offensive on multiple fronts in the Afghan north, taking control of Kohistanat district in the once calm province of Sar-i-Pul after a police commander and his officers defected to the jihadist group. According to the Taliban, its forces “raised the white flag of [the] Islamic Emirate” over the district headquarters and other government buildings earlier today. The Taliban overran Kohistanat after launching its assault on July 26. The fall of the northern district was confirmed by a member of Sar-i-Pul’s provincial council, a police spokesman, and the Taliban. Both Afghan officials and the Taliban said that a local police commander and his officers defected to the Taliban at the opening of the fighting. An “Afghan Local Police [ALP] officer together with seven of his men joined [the] Taliban,” Khaama Press reported. The ALP officer had previously been linked to the Taliban, a police spokesman said. According to a Taliban statement released on Voice of Jihad, “a key Arbaki commander – Hassan – made contact and joined up with Mujahideen along with 100 fully armed men” on July 26. Arbaki are local tribal militias that often back the government in its fight against the Taliban. 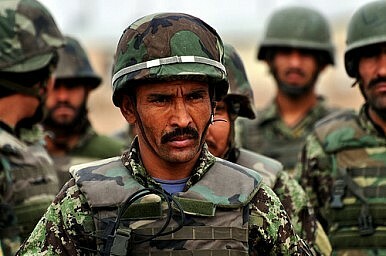 Afghan forces are fighting Central Asian extremists. Time for the region to get more involved. The spillover effects of the NATO forces withdrawal from Afghanistan already has the Central Asian States of Tajikistan, Uzbekistan, Turkmenistan and Kyrgyzstan worried. Today, Afghan National Security Forces are fighting Chechen, Uzbek, Tajik and Kyrgyz extremists in its northern provinces, paying a heavy price in blood and treasure with very little acknowledgement from its Central Asian neighbors. Poor cross border security coordination and intelligence sharing mechanisms, a regional trust deficit, coupled with organized crime and drug trafficking have only exacerbated this problem. Ties between Afghanistan and Central Asia are driven more by security imperatives than by trade and energy. Afghanistan and Central Asia share geographic, demographic, security and economic ties that go back to the ancient Silk Road days. 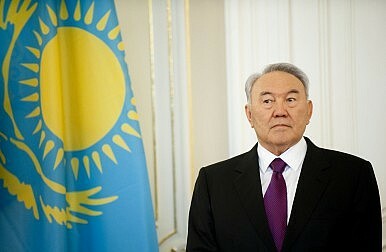 With the disintegration of the former Soviet Union and the emergence of newly independent Central Asian states, Afghanistan began an era of tumultuous relations with Tajikistan, Uzbekistan and Turkmenistan. Following the 2001 NATO/U.S. intervention in Afghanistan, bilateral relations changed and a new dynamic emerged. Maritime tensions in Asia are growing and will persist, and yet relations are likely to remain bounded below the threshold of military conflict. Steering through intensified competition in the South China Sea and beyond requires a realistic U.S. foreign policy founded on deep engagement, comprehensive power, and durable principles. 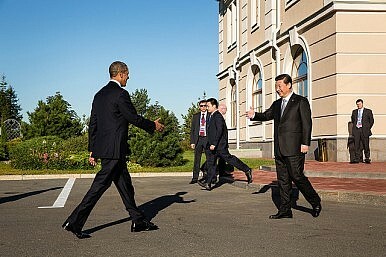 Cooperating with China when interests overlap is in the U.S. national interest. Likewise, confronting China over issues where our interests diverge—including over rules in the maritime and cyber domains—is also integral to America’s future power and purpose. But expectations about dampening all maritime frictions should be kept modest. Even with calls for grand bargains and strategic accommodation, well into the next U.S. administration we will be navigating in the messy middle ground between war and peace. Although such volatility may be uncomfortable, achieving a firmer footing with China will be elusive. That is because the primary competition in the South China Sea is rooted in a reemerging China’s capacity and desire for expanding influence over its neighbors and adjacent waters, en route to securing a position as a if not the major global power in the 21st century. The fifth annual Center for Strategic and International Studies (CSIS) conference on the South China Sea, held in Washington DC last Wednesday, was a quality event, where knowledgeable experts rubbed shoulders with senior politicians and officials. Regrettably, there was not a glimmer of hope pointing to a breakthrough in the competing sovereignty claims marking the region, or the deeper strategic forces driving China and other parties. Adding to the endless speculation about China’s capabilities and intentions are recent questions about the country’s economic health. Beijing certainly faces significant economic and financial problems. But for all the concern, Chinese development looks far more durable than recent media attention suggests. Especially given Beijing’s ample financial resources, growth will almost surely continue at a robust pace, if not the breakneck rate of some years ago. There is no lack of grist for pessimistic mills. China’s stock market has taken a severe hit, falling, by some measures, nearly 40 percent from its highs last June to its recent lows in July. Earlier overbuilding had created a real estate bubble that is now in the process of deflating. And the pace of growth overall has slowed from 10-12 percent annually a few years ago to some 7 percent today, according to official statistics, and possibly slower, according to private analyses. There are, however, limits to the damage implied in each of these matters. China’s island building and outfitting activities are a “tipping point” meriting U.S. government response. In what follows, I offer my assessment of the current situation in the South China Sea, how the U.S. government should understand the situation, and how it may best address the situation. A major Chinese narrative regarding the South China Sea is one of unreciprocated restraint. But Chinese leaders have clearly had an ambitious long-term vision of some sort, backed by years of island seizures, themselves based on longstanding claims encapsulated in an ambiguous “nine-dash line” enclosing virtually all of the South China Sea. In 2014, China greatly accelerated what had long been a very modest process of “island building,” developing land features in the Spratlys and Paracels with a scale and sophistication that its neighbors simply cannot match, even collectively over time. The quest to fund a new memorial for U.S. President Dwight D. Eisenhower has received a boost from an unexpected source. Taiwan pledged to donate $1 million toward the memorial, which will be located in the new Eisenhower Square park, to the west of Capitol Hill in Washington, D.C. Organizers aim to raise $20 million in private funds, which they hope will help encourage Congress to appropriate funds for the memorial. 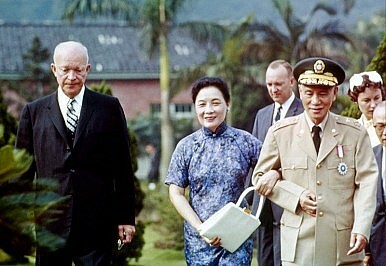 So why, then, is Taiwan donating $1 million to the memorial of a president Americans seem underwhelmed by? 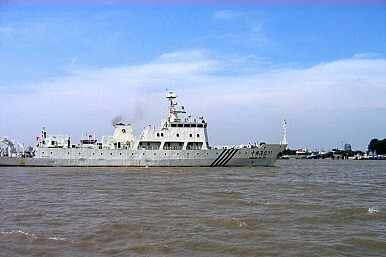 Last week, Cambodia’s foreign minister Hor Namhong suggested that Cambodia would continue to seek to be a mediator in South China Sea disputes between China and the claimant states in the Association of Southeast Asian Nations (ASEAN). “Cambodia wants to mediate in order to reduce the tense atmosphere between ASEAN and China because we discern that no solution can be found without talking to each other,” Hor Namhong said according to Voice of America. For those who follow developments in the South China Sea and Southeast Asia closely, the suggestion of Cambodia as a mediator in the disputes is a rather curious one. True, the country is not an ASEAN claimant unlike Brunei, Malaysia, the Philippines and Vietnam. But mediation is a tall order even for more capable Southeast Asian states like Indonesia, despite its status as primus inter pares within ASEAN and its role – led by former Indonesian diplomat Hasjim Djalal – in informally conducting workshops on the issue since the 1990s (See: “No, Indonesia’s South China Sea Approach Has Not Changed”). The case for Cambodia assuming such a role does not appear to be a very strong one by comparison. China recently reported capital outflows of $142 billion between April and June, continuing a trend that has worried analysts for months. The outflows reflect expectations of a weaker renminbi and increased firm holdings of foreign exchange reserves, and perhaps some concern over a weakening Chinese economy. In order to calm fears of potential crisis, authorities have commented that outflows are not a result of long-term capital flight but rather changing policies and expectations. While capital outflows have been higher than usual, the foreign exchange deficit posted by commercial banks has shrunk from $91.4 billion in the first quarter of 2015 to $13.9 billion in the second quarter. 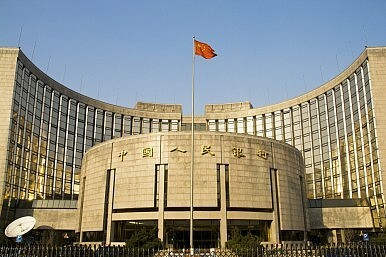 The State Administration of Foreign Exchange has commented that current account surpluses and capital account deficits will become the “new normal” in China as the capital account continues to open. The Rebalance authors Mercy Kuo and Angie Tang regularly engage subject-matter experts, policy practitioners and strategic thinkers across the globe for their diverse insights into the U.S. rebalance to Asia. This conversation with Patrick Chovanec – Chief Strategist at Silvercrest Asset Management, frequent commentator on CNN, BBC, Voice of America, and Bloomberg, and contributor to Forbes, Foreign Policy, Al-Jazeera, among many others, and named one of the “102 Finance People You Have to Follow on Twitter” by Business Insider in 2014 – is the twelfth in “The Rebalance Insight Series”. Has the U.S. rebalance to Asia been effective, and how do you see it evolving in under the next U.S. president? BERLIN (Reuters) - German authorities suspect that an Islamist who once lived in Germany carried out a car bombing on a hotel in Mogadishu on Sunday that killed at least 13 people, security sources told Reuters on Tuesday. The sources said the man, Abdirazak Bouh, was born in Libya and had both Somali and Libyan passports. Born in 1985, he had lived for some time in Bonn, where security officials say a strong Salafist movement is active. He was barred from leaving Germany in 2009 because he was suspected of wanting to join Islamists fighting abroad, said the sources. However, in 2012, he succeeded in travelling to Egypt and then on to Somalia. The sources confirmed a report by Die Welt daily that said he had joined the al Shabaab group, which said it was behind the blast on the Jazeera hotel in Mogadishu on Sunday. The group frequently stages bomb and gun attacks in the capital aiming to topple Somalia’s Western-backed government. It also wants to impose its strict version of Islam on Somalia, which is trying to rebuild after two decades of conflict and chaos. Germany’s BfV domestic intelligence agency has warned about a rising number of Islamist militants in Germany travelling to Syria, Iraq and other countries to fight. Der Spiegel Online reported that the BfV now thinks some 720 people have travelled from Germany to Syria or Iraq to join jihadist forces such as Islamic State. They are also worried about the number of those returning to Germany. While there is heavy fighting in Anbar, ISIL (Islamic State in Iraq and the Levant) is also busy up in Mosul where for the last week the ISIL security forces carried out a major operation against the real or imagined opposition in the city. So far this has led to over 400 arrests and nearly 200 executions. Most of the victims are current or former government employees. The Iraqi government still pays the salaries for most civil servants in Mosul and although these people now take orders from ISIL, many are not trusted by their new masters. Iraq is also threatening to stop paying the salaries because ISIL is taking more and more of the payroll for other uses. This is one reason for the growing resistance to ISIL among government employees. That has led to the current crackdown, which is expected to terrorize most anti-ISIL civilians into a more compliant state-of-mind. In general the Mosul population is fed up with ISIL but the offensive to capture Mosul has been put on hold so the security forces can go after ISIL in Anbar. The growing number of ISIL men captured, or deserted, have provided a timelier and more detailed picture of how ISIL is run and what internal problems the organization faces. Discipline problems are increasing and senior leadership reacts violently to disagreements at any level. Thus even senior ISIL leaders have been publicly executed recently and a growing number of lower ranking members have been killed (often for running away from the enemy or some lifestyle violation). Turkey’s recent June elections have produced a religiously diverse parliamentthat the country has not seen since the 1950s. A total of seven non-Muslim deputies—three Armenian Apostolic, one Arab Orthodox, one Syriac Christian, and two Yazidis—were elected from the lists of three different parties. It is a mistake, however, to dwell on the success of minority candidates in a country at risk of moving not toward greater tolerance, but to scapegoating and religious and ethnic exclusivism. Optimists argue that, after the recent elections which delivered a setback to President Recep Tayyip Erdogan’s bid to consolidate power, Turkey’s political climate is finally ripe for the pluralism that has long been the goal of a new generation that is coming of age. But this is not the arrival of a Turkish political spring. If anything, we may be about to enter a long winter of discontent. STOCKHOLM — Sweden says a submarine wreck found last week in its territorial waters was most likely Russian World War I submarine the Som, which sank after colliding with a Swedish ship in 1916. Swedish Armed Forces spokesman Jesper Tengroth says investigators on Tuesday analyzed video footage provided by the diving company that found the wreck. The find follows a lengthy hunt for a foreign submarine in Swedish waters in October during a period of growing military activity in the Baltic Sea region, with several reports of airspace violations by Russian military aircraft and an increased presence of Russian military vessels. Public knowledge, in this view, rarely approaches reality enough to be called “true” or “false.” Oversimplifications and pious frauds are inevitable. Facts are secondary to narratives. Ebert may have been on to something. Consider the case of the long, troubled history of relations between the United States and Iran. Ask a reasonably informed American—someone who watches the nightly news, say—about where things went wrong, and you’ll get one of two stories. The first, the more popular one, starts in late 1979. Radical students, chanting “Death to America!” storm the U.S. embassy in Tehran and take dozens of diplomats hostage in the name of a bearded, black-turbaned extremist named Khomeini. The hostages are eventually released, but Iran remains under the rule of a band of terror-sponsoring religious fanatics to this day. America, in this view, is an innocent victim of Iran’s irrational and baseless hatreds. The United States maintains an extensive nuclear arsenal. According to the Federation of Atomic Scientists, in April of this year the United States maintained an arsenal of over 7,200 nuclear bombs. Of those, more than 2,000 were deployed (1,900 strategic nuclear weapons and 180 non-strategic weapons). America also maintains a plethora of delivery options for its nuclear bombs. As part of its nuclear triad, it maintains some 94 nuclear-capable bombers (B-2s and B-52s), over 400 Minuteman III ICBMs and 12 Ohio-class ballistic missile nuclear submarines. The latter are equipped with modern Trident II submarine-launched ballistic missiles, which are drastic improvements over their land-based competitors. The Iran agreement is a historic achievement that rallies the full weight of the major global powers to shut off Iran’s pathway to a nuclear weapon for ten years or more. Few votes in Congress will be as consequential as the one on the Iran nuclear agreement. This agreement represents the best chance to make sure Iran never obtains a weapon and the best chance for Congress to support American diplomacy—without taking any options off the table for this or future presidents. The deal deserves Congressional support. Opponents of the deal have been scathing in their critique. While there are aspects of the deal that merit close review, many of these attacks just don’t stand up to scrutiny. 1) The deal ensures that Iran will get a bomb, sparking nuclear proliferation across the Middle East. The deal takes Iran off the path to a bomb and keeps all U.S. options on the table if Iran cheats. Without this deal, UN inspectors would be kicked out, and Iran would again be within weeks or months of a bomb, with all of its centrifuges spinning and its enriched-uranium stockpiles growing. Without the deal, Iran has enough uranium for ten bombs right now. With the deal, it will immediately have less than what it needs for one bomb. Under the deal, Iran also agrees to the International Atomic Energy Agency (IAEA) Additional Protocol, so it is bound to not producing nuclear weapons. If it chooses to try, all the options available today—including military action—will be available to the U.S. president in five, ten, fifteen or even thirty years. Medicare is still in trouble. The Medicare Trustees just issued their 2015report. Like last year’s report, it says that the Hospital Insurance trust fund will enjoy a few years of surpluses, followed by deficits, ending in insolvency in 2030. The trustees’ report is a bracing corrective to the complacency and demagoguery that often mars the ongoing Medicare debate. Facts, as President John Adams once remarked, are “stubborn” things. Recent commercial satellite imagery indicates that construction begun in spring 2015 after the earlier modification of the Sohae gantry for space launch vehicles (SLVs) has been completed. It appears that the SLV stages and payload can be prepared horizontally in a new launch support building at the end of the pad, then transferred to a movable support structure that is several stories high, where they will be erected vertically, checked out and finally moved to the launch tower. Imagery of the Sohae engine test stand also indicates that preparations were underway as of July 21, including the presence of a moveable crane and probable ground support equipment, for an engine test in the near-term. 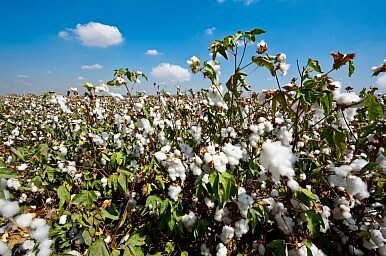 A subsequent unconfirmed Yonhap report on July 24 stated that a test had taken place. Construction of a shelter covering the Sohae rail spur where SLV stages and associated equipment are delivered from offsite has also been completed. The shelter would prevent the observation of rail activity at this location, and make it more difficult to observe the arrival of missile-related railcars and shipping containers by satellite imagery. TEHRAN — For Jason Rezaian, the Washington Post reporter now on trial for espionage in Iran, the incident was extraordinary but still looked like another example of the difficulties in covering the country’s politics. On a spring day in March 2014, his wife and a female photographer were stopped in broad daylight in their car on a busy Tehran highway and taken into a van, where, friends say, a dozen men and a woman interrogated them about the photographer’s personal connection to the office of Iran’s president. Mr. Rezaian and his wife, Yeganeh Salehi, a reporter for a United Arab Emirates newspaper, were sufficiently shaken by the episode to report it to the Ministry of Culture and Islamic Guidance, which accredits journalists working for the foreign news media. Friends say they even reported it to the president’s office. But the couple did not change their reporting habits — meeting and talking with a variety of people, including officials and diplomats inside and outside Iran. Secrets about the foreign activities of Canada’s spy agency — including the size of its network of foreign stations, the volume of sensitive communications they handle and their deeply antiquated system of information sharing — are revealed in what is purported to be a sensitive government document hacked by Anonymous and released Monday in a vendetta against Canadian authorities. The stations are staffed by approximately 70 CSIS staff who handle approximately 22,500 messages per year — not including “the high volume of extremely sensitive traffic from the Washington station,” the document says. “The tools to access and process intelligence information from these foreign stations have not been updated since the Service’s foreign collection activities began in the mid-1980s,” it says. The Post has not been able to independently verify the authenticity of the document. Government officials have neither confirmed nor denied it as a legitimate document. CSIS did not return phone calls Monday. What’s Inside the Justice Department’s Secret Cybersecurity Memo? Sen. Ron Wyden has many problems with the cybersecurity bill that the Senate may take up before the August recess. But he can only talk about some of them publicly. Other reservations remain strictly classified. Wyden, the Democratic privacy hawk from Oregon, claims that a classified Justice Department legal opinion written during the early years of the George W. Bush administration is pertinent to the upper chamber’s consideration of cyberlegislation—a warning that reminds close observers of his allusions to the National Security Agency’s surveillance powers years before they were exposed publicly by Edward Snowden. The Obama administration pledges that it does not rely upon the memo, which some privacy experts have speculated could be used under the auspices of cybersecurity to allow government surveillance of Americans’ Internet usage. Wyden and civil-liberties advocates worry that the memo could be invoked by a future president, a concern fueled in part by the use of other Bush-era legal opinions written to justify warrantless surveillance and the CIA’s so-called “enhanced interrogation techniques” during the war on terror. OTTAWA - Canada’s electronic spy agency introduced mandatory privacy awareness training for all employees in March following an internal breach involving personal information. When Greta Bossenmaier became chief of the Communications Security Establishment in February, the ultra-secret eavesdropping outfit was under intense public scrutiny over alleged spying on citizens. But less than two months into the job, Bossenmaier was informing the spy agency’s staff of a privacy violation inside its own walls. The Ottawa-based CSE, which employs about 2,000 people, uses highly advanced technology to intercept, sort and analyze foreign communications for information of intelligence interest to the federal government. LIMA, Peru — Peru’s government on Monday ordered telecommunications companies to grant police warrantless access to cellphone users’ locations and other call data in real time and store that data for three years, a decree that civil libertarians called an unconstitutional invasion of privacy. The government published the legislative decree on a national holiday and a day before Peru’s independence day celebrations, when schools, government offices and most businesses are closed. Its contents were not debated in Congress and it was enacted under special powers that lawmakers recently granted to President Ollanta Humala’s government. Activist Katitza Rodriguez of the Electronic Frontier Foundation said she had not seen “any legal provision anywhere that stripped geolocation data of constitutional communications privacy protections as explicitly” as the Peruvian decree. It follows a global pattern of governments seeking to fast-track surveillance legislation without public debate, said Rodriguez, the foundation’s international rights director. The government said the measure is needed to fight organized crime in a country plagued by cocaine trafficking, extortion, murder-for-hire, illegal logging and land trafficking. The decree does not allow eavesdropping on actual conversations without a court order. A flaw in the Android operating system could give hackers easy access to 95% of Android devices, according to cyber security firm Zimperium. Security researchers have exposed what experts are calling the worst Android flaw discovered to date. According to research conducted by Joshua Drake of the cyber security firm Zimperium, a vulnerability in an Android component used to display media, called "Stagefright," allows hackers to take control of your smartphone by sending one text message with a malicious media file attached.